For the most part of last week, I took a break from cooking. I really think the weekend before had done me in! I got back on the wagon for tonight's dinner and whipped up something light in calories. I need to look good in my bikini when I'm in the Bahama's soaking up the rays! In a medium saucepan, heat 2 teaspoons oil over medium-high. Add scallion whites and ginger and cook, stirring often, until soft, 3 minutes. Add rice and 1 1/2 cups water and season with salt and pepper. 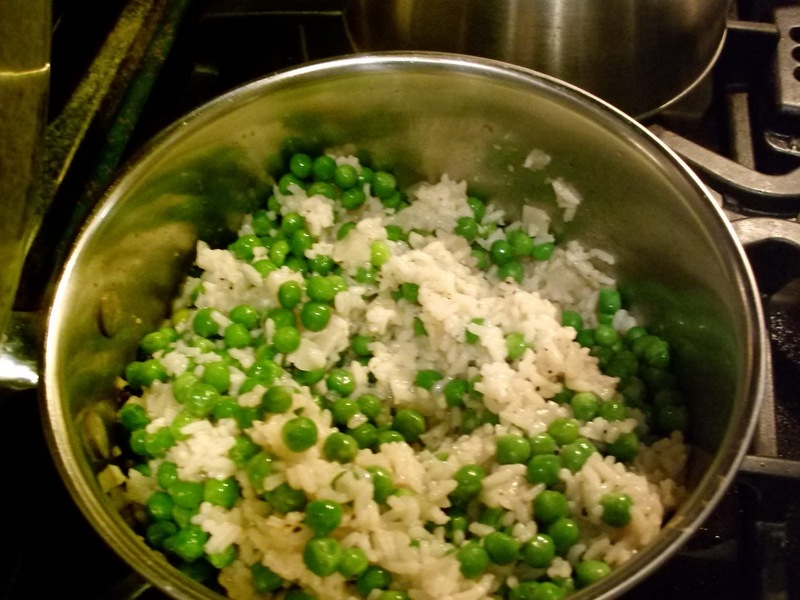 Bring to a boil; cover, reduce to a simmer, and cook until rice is tender, about 15 minutes. Remove from heat and top with peas. Let stand, covered, 5 minutes, then add scallion greens and fluff rice with fork. Meanwhile, in a medium bowl, toss shrimp with cumin and coriander and season with salt and pepper. 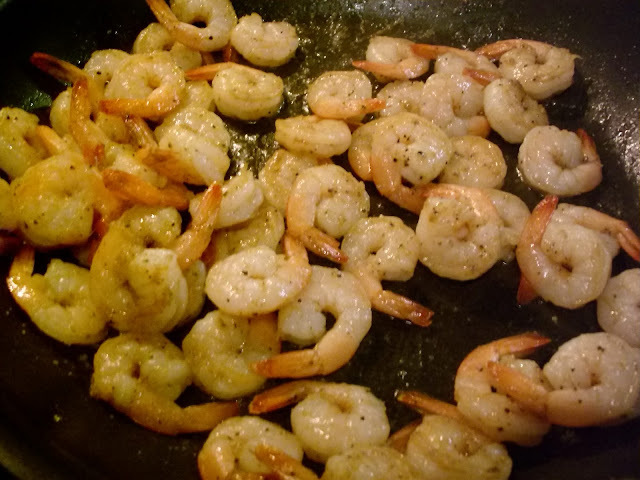 In a large skillet, heat 2 teaspoons oil over medium-high. Add shrimp and cook, stirring occasionally, until opaque throughout, about 4 minutes. 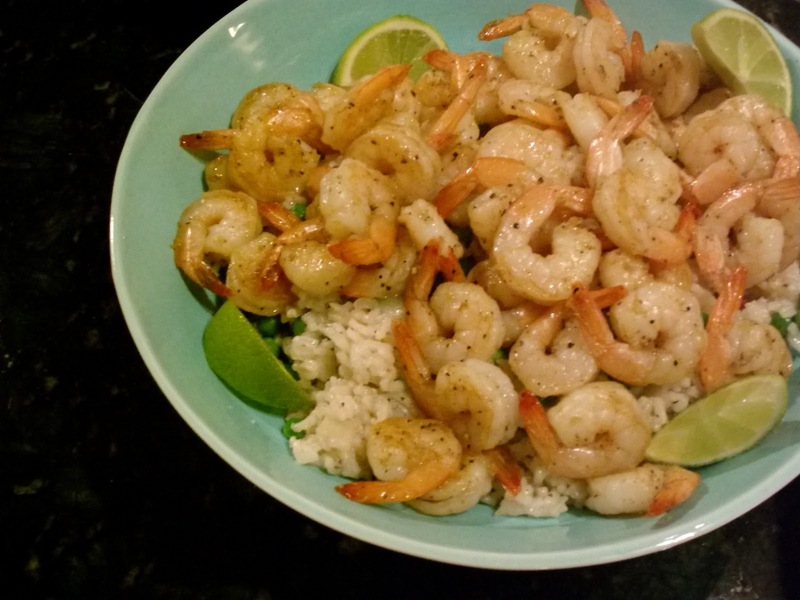 Serve shrimp with rice and lime wedges. I served this dish alongside some fresh spinach and a splash of Panera Bread Asian Sesame Dressing.